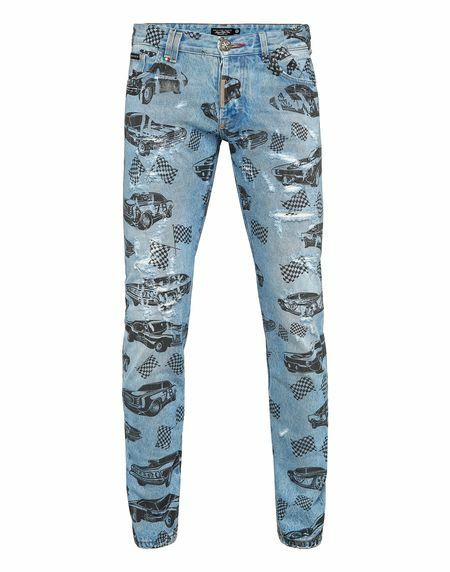 Philipp Plein Men's Jeans "FAST CAR"
All over printed blue stone washed stretch denim five pockets jeans with rips and daming enriched by prints and embroideries. Metal button fastening. Jacquarded lettering sewn at watch pocket. Metal hexagonal logo placed at right back pocket. Straight cut.